I departed from San Juan late Saturday morning in the direction of Benidorm, where I was delayed an hour whilst I waited for the next train to come along in the direction of Altea. The train leg from San Juan (or Alicante) to Benidorm showcases some of the most incredibly scenic ocean views right along the coast, with crystal clear waters set against a backdrop of barren mountains and beautiful white stone houses built into the banks below. 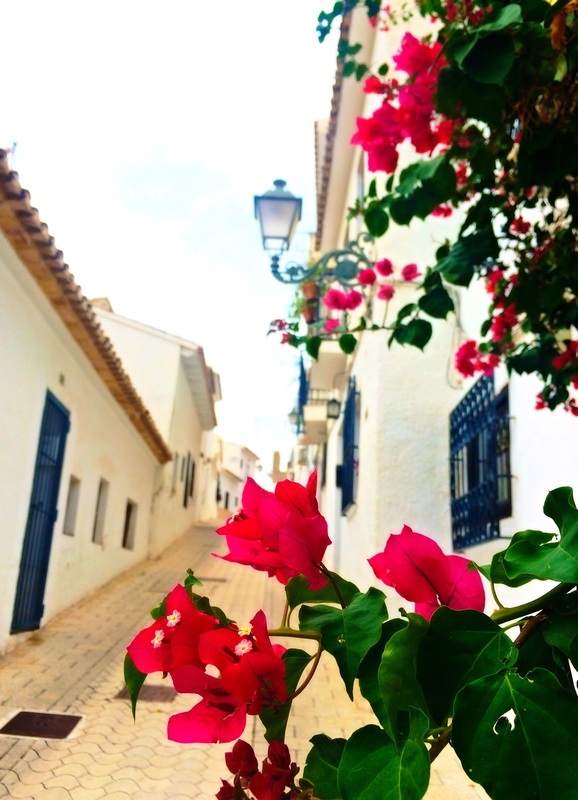 Upon my arrival I stretched my legs and began the hike up the steep streets towards the most commonly visited area in Altea, the Old Town. The Old Town is by far one of the most picturesque and captivating places I have ever seen, oozing character with a medieval touch. 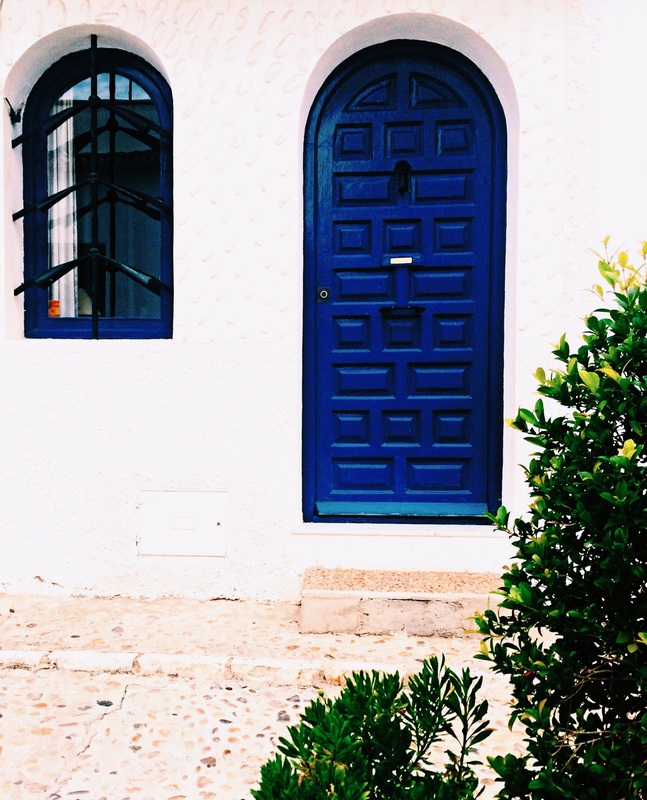 Narrow cobblestone streets, white-washed stone buildings, vibrant coloured flowers and superb front doors – it’s really not hard to fall in love with. Tucked away down the many narrow streets are a number of cafes, galleries, clothing boutiques and gift shops, each with their own individual touch. 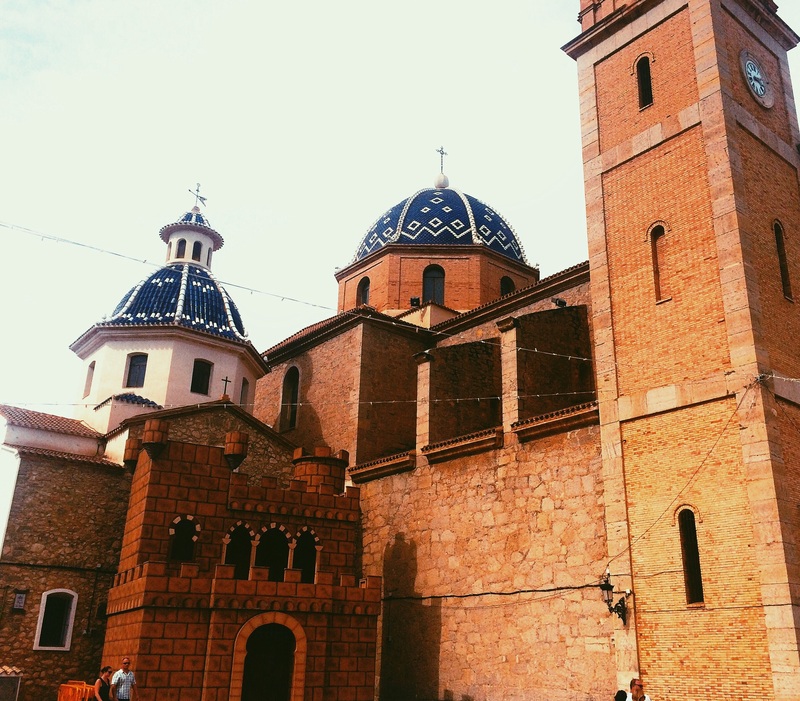 Once you have reached the city’s centre at the top of the laneways you will find the stunning church of La Mare de Déu del Consol (Our Lady of Solace) which is a standout with it’s blue and white ceramic tiled domes. 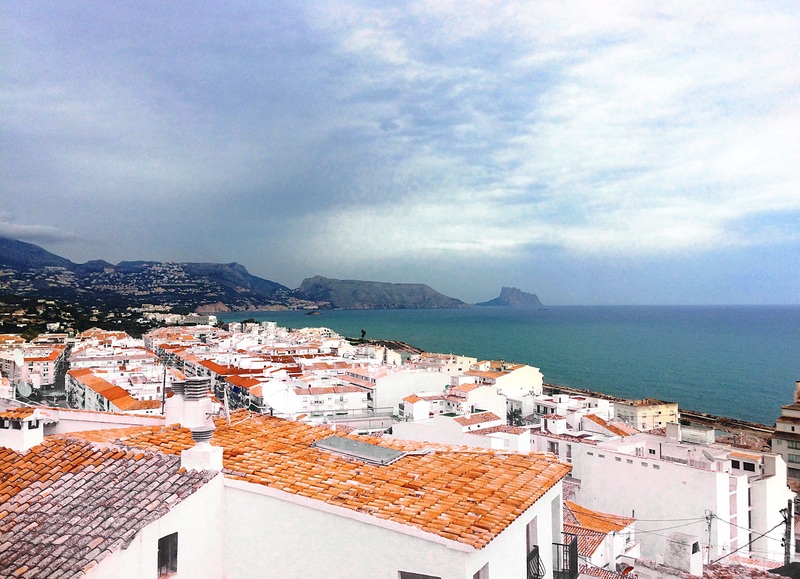 Aside from the obvious beauty of Old Town Altea, in my opinion there is one thing in particular that can not be beaten – the views! No matter how many photos I seemed to of taken, the view from the top of the Old Town down over the Mediterranean sea and surrounding mountain landscape did no justice to the beauty that laid in front of my eyes. 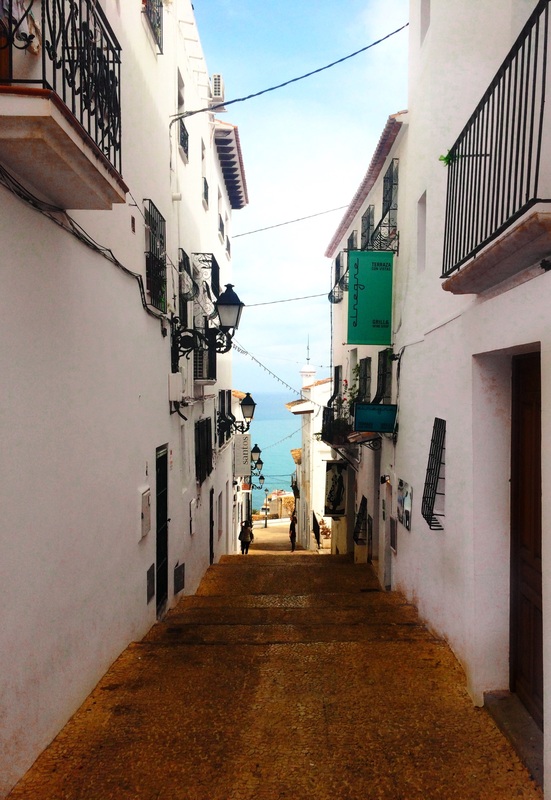 Once I had finished being lost amongst the maze of beautiful streets, I settled for some lunch in a little café and then proceeded back down towards the more modern, commercialised part of Altea, the New Town. The streets almost felt as though they were abandoned with very few people walking along the promenade and not a single person in sight on the beach, but this is to be expected now the holiday season is over. The weather was overcast and foggy, but still incredibly warm. 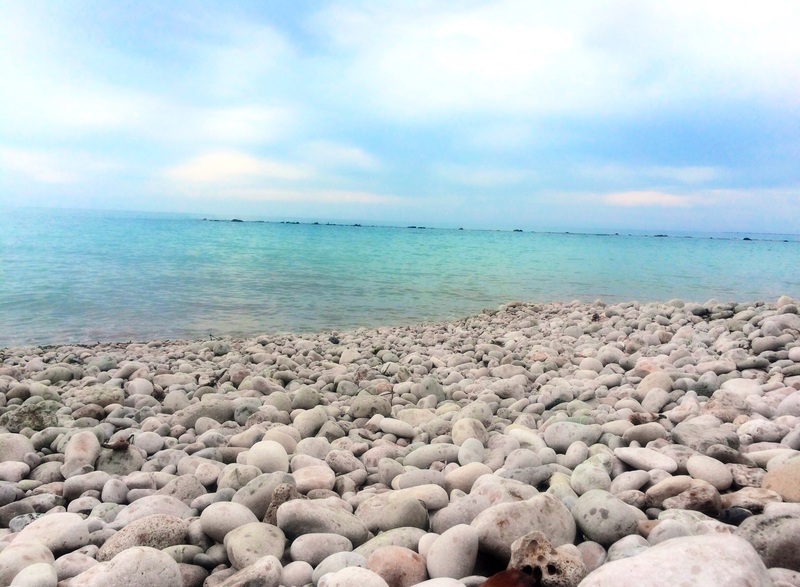 The beaches were lined with white rocks and the water a glorious soft blue colour. After a stroll around the beaches I proceeded back to the train station to begin my 2 hour journey home, undeniably leaving a piece of my heart behind amongst all of the beauty. Until we meet again Altea. Here’s some footage I captured of my day below. Please excuse the poor iPhone quality!